Coppola's best film, and without question one of the best films ever made. Monumentally towering. Groundbreaking approach towards war. Lots of depths. AQOTWFesque. Such a well done movie, but not one to rewatch over and over again. I honestly don't know what scenes were in the original, but I thought it was awesome. 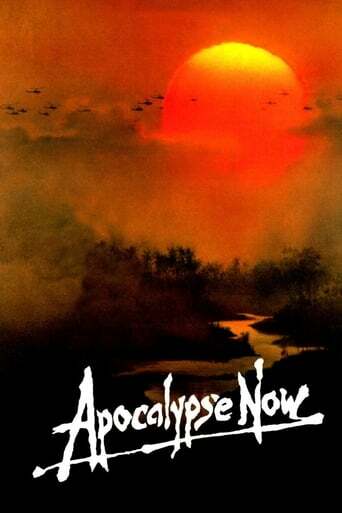 Apocalypse Now Redux is a 2001 extended version of Francis Ford Coppola's epic war film Apocalypse Now, which was originally released in 1979. Coppola, along with editor/long-time collaborator Walter Murch, added 49 minutes of scenes that had been cut out of the original film. It represents a significant re-edit of the original version. At the height of the Vietnam war, Captain Benjamin Willard is sent on a dangerous mission that, officially, "does not exist, nor will it ever exist." His goal is to locate - and eliminate - a mysterious Green Beret Colonel named Walter Kurtz, who has been leading his personal army on illegal guerrilla missions into enemy territory.